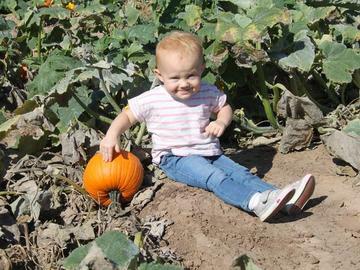 Enjoy Country Family Fun at Maxwell's Pumpkin Farm! Farm Pass includes all activities except the Zip Line and Apple Cannons. You may also purchase a variety of food, drinks and pumpkins at the farm. Seniors (age 65+) may purchase admission at the farm for $10.00 plus tax with proof of age. Children 2 and under are always FREE at Maxwell's! Tickets may say September 22 (opening day), but they are valid any Friday evening, Saturday or Sunday throughout the season. All tickets include sales tax.